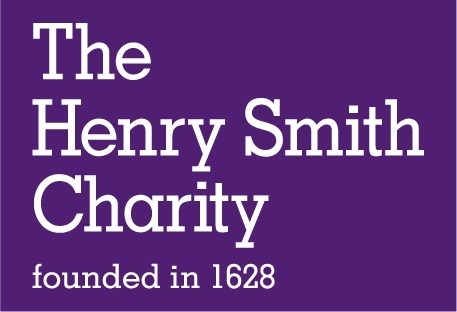 The Henry Smith Charity is an independent grant making trust founded in 1628 by Henry Smith, a businessman who worked in the City of London. It is now amongst the largest independent grant makers in the UK distributing over £30 million per year predominantly to smaller organisations working to combat deprivation and disadvantage throughout the UK. As well as the main grants programme the charity has a number of other programmes set out by the founder's will. One of these is the Christian Grants Programme which distributes approximately £1million per year, largely divided between two distinct themes: grant making through the Church of England Dioceses to individual clergy in need, and, grant making to projects supporting the work of the Church of England in its Christian outreach and also wider cross-denominational Christian projects, which meet our specified priorities. Henry Smith Charity are now looking for a Christian Grants Programme Manager to join the team. This role is part time, 2 days a week and will pay between £36,000 - £38,000 pro rata per annum. In this role you will deliver the Christian Grants Programme with a particular focus on the part of the programme dedicated to making grants to projects. Identify opportunities and actively promote the Christian Projects Grants Programme in line with the priorities set by the Trustee's Clergy and Christian Projects Committee. Undertake an assessment of each application against Christian Projects Grant Programme criteria. Manage the Christian Projects Grant Programme's application process, including monitoring levels of applications received and available grants budget. Manage each grant awarded reporting as appropriate to the committee on any relevant learning and the outcomes achieved. Plan, facilitate and attend all Clergy and Christian Projects Committee trustees' meetings. Attend relevant sector events and conferences both to gather information and to represent the Henry Smith Charity. Educated to degree level or able to demonstrate equivalent level from experience in a work environment. 24 days holiday p.a. (pro rata for part-time employees), with one additional day for each year of service up to a maximum entitlement of 26 days p.a. Closing date for applications 5th November with first stage interviews scheduled for 15th November. Please send a supporting statement with your application to chenda.mcmanus@tpp.co.uk, or call 020 7198 6020 for more information.